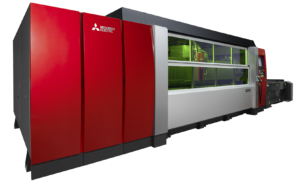 Waukesha Metal Products, an international full service metal stamping and fabrication partner dedicated to delivering high quality and best value products, is pleased to announce the installation of the Mitsubishi SR-F40 Laser at its fabrication facility located in Grafton, Wisconsin. From humble beginnings as a two man tool and die shop, Waukesha Metal Products has developed into an international full-service metalforming manufacturer, delivering the best-value parts and assemblies in the industry since 1971. For more company information visit: www.waukeshametal.com.